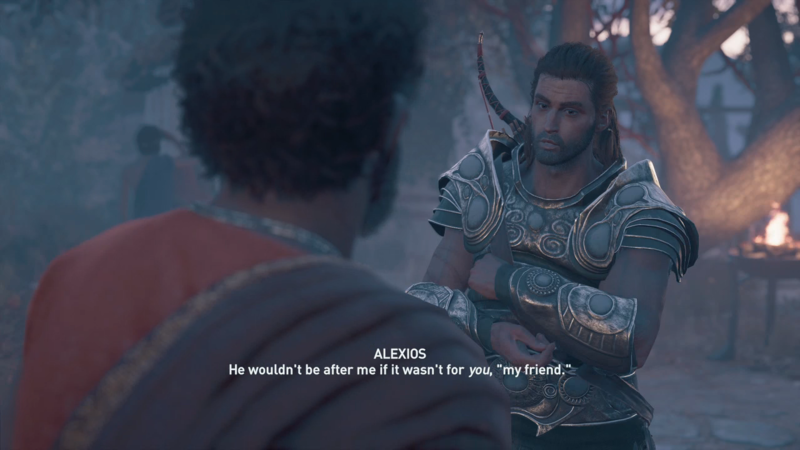 Assassin's Creed Odyssey plunges players further back into history, back to when the Assassin Order wasn't even conceived. The world of Greece is just as beautiful and teeming with more activities than any other Assassin's Creed game. But despite the large impressive world Assassin's Creed Odyssey's gameplay rarely impresses and relies on mechanics already used in previous games with little variation. Despite the new branching narrative Assassin's Creed Odyssey is more of what fans of the series have come to expect. 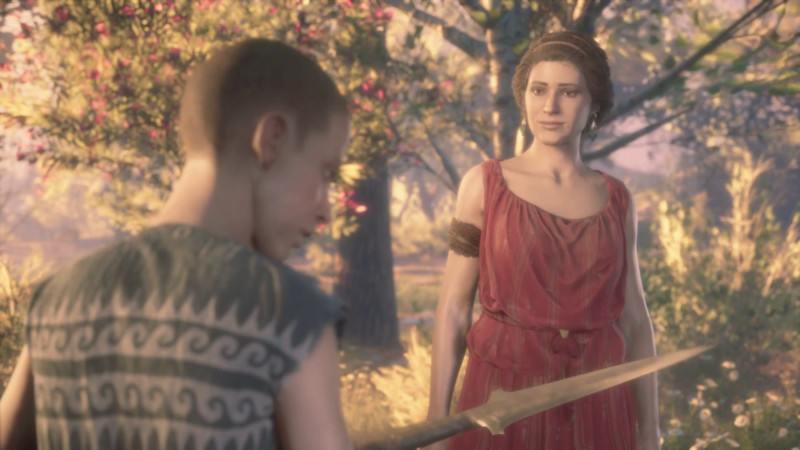 Assassin's Creed Odyssey stars either Alexios or Kassandra, a Spartan warrior living in exile before being forced back into the spotlight after new information regarding your family surfaces. Hence begins a large odyssey across Greece during the middle of the Peloponnesian War. Both Athens and Sparta are at war and you're there to turn the tides in the favor of either side. For the first time, Assassin's Creed Odyssey introduces a branching narrative where the player can alter the world around them. This includes abandoning certain characters, optional dialogue options, and different paths. This extends to the gameplay where certain actions can lead to different endings to specific objectives. The narrative is extensive compared to other games in the franchise the gameplay remains mostly the same. Players will still kill and retrieve key items in a number of ways. The game attempts to add variation by providing different enemies to kill or environments to infiltrate but these have their own issues. Combat is similar to Assassin's Creed Origins with enemies using various techniques based on their weapon, rank, and level. The issue is that enemies, even common foes, have an absurd amount of health. Easily taking multiple blows even against a player at the same level with high-end gear. This can lead to battles of attrition as you whittle down the enemy's health. The enemy AI is inconstant. Sometimes they can spot you from across a fort and other times lose sight if you break their line of sight for just a second. Once you understand their behavior, exploiting them becomes very easy. And you'll need to as enemies will often chase you endlessly even if you accidentally attack. Climbing remains unchanged from Assassin's Creed Origins. Shockingly the developers made Y the primary action for not only looting but assassinating and speaking to NPCs. Since the player has a wider range of options, including the ability to kill NPCs easily, expect to accidentally kill your objective. It's also vexing that you cannot sprint on your horse when inside a town, a problem in Origins that fans complained about. If you cause too much trouble other mercenaries will come and hunt you down. This is a refined system from Ezio's adventures where if you cause havoc you can either kill the mercenaries that hunt you or pay off the person who made the contract. Since mercenaries come in a variety of levels you can kill them for high-end loot. 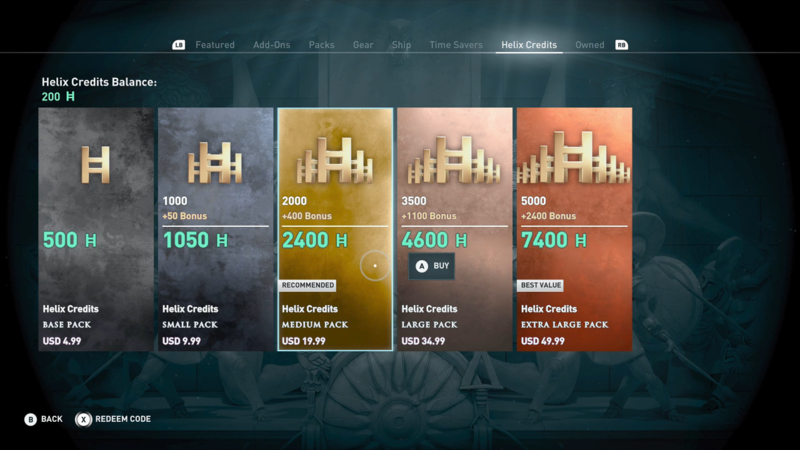 Speaking of loot, Assassin's Creed Odyssey's equipment, leveling, and upgrade system are similar to Assassin's Creed Origins. You can upgrade by purchasing or looting items, earn experience to invest into 1 of 3 talent trees with multiple tiers to each skill, and enhance existing items using resources. Expect a large grind as experience is delivered at a snail's pace, which could be why Ubisoft included an in-game store. Once a category is literally named "Time Saver", offering resources and experience boosts for real-world money. Those who do not invest in this system will have to spend a lot of time accepting option contracts to earn enough experience to progress. The world of Assassin's Creed Odyssey is teeming with activities but lacking in fast travel points. For such as large world you would expect an increased number of synchronization points or the ability to fast-travel to towns, cities, or docks but no. This is vexing since traveling takes such a long time. When you're not on foot you'll be sailing. Like Assassin's Creed Origins, Black Flag, and Rogue players will engage in ship combat, upgrade their ship with resources, and recruit new members to join your crew. It's mostly the same system from those games. You'll attack enemy ships using arrows, javelins, and ramming them while attempting to minimize damage. Do enough damage and you can either board the enemy ship for better rewards or destroy is completely and scavenge what remains. Assassin's Creed Odyssey is more of what fans have come to expect from the franchise. 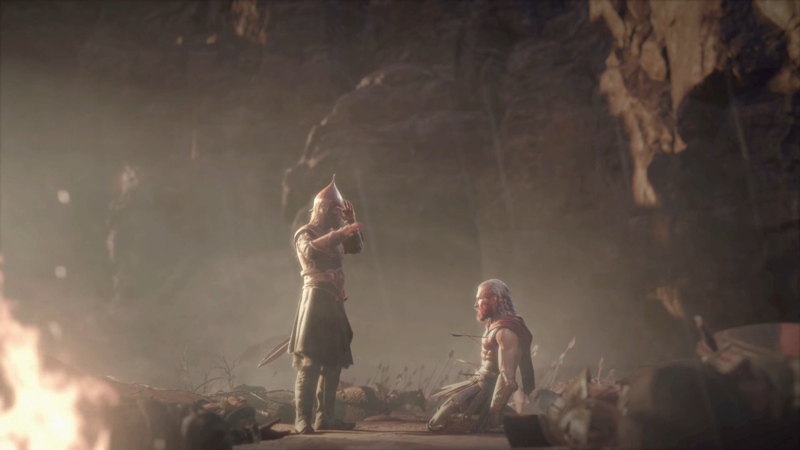 The branching narrative offers more reasons to explore other options but the gameplay remains largely unchanged from other games in the franchise. You'll perform the same tasks over and over just to earn enough experience to progress. This while traveling the vast world of ancient Greece since the lack of fast travel points make this mandatory. Assassin's Creed Odyssey won't surprise long-time fans of the franchise but those diving into the series for the first time will find a lot of things to do.